I was so happy to finally get my hands on this publisher but after DD saw what it was she kind of over took the package! Great way to start a review! 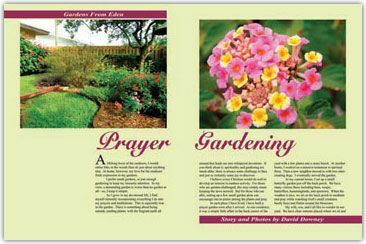 I have seen Creation Illustrated in many homeschool magazines but just had never heard a lot about the product itself. So when the TOS crew was asked to review it I was thrilled simply because how many times I had came across it and I know how the kids and I love to look at magazines. Each edition is divided into 3 sections. Nature, in Scripture and in Living. Its published quarterly by a family that has homeschooled for 19 years. Some readers call it a "Christian National Geographic" and I would actually have to say I totally agree with that statement. The pictures in the magazines are amazing. My family has enjoyed them from DS2 (not able to read) just looking at the pictures and loving them to my olders being able to read the awesome articles wrote and understand whats inside. One of my favorite things about the experience has been the character that has been put into these magazines. I always worry with our other reads on what is being introduced and what I may have to explain. I am relieved that I will not have to worry about that with this publisher. But my favorite about the Creation Illustrated Magazines was the wonderful instruction guide they included in the back of the magazine!! We have looked at all 4 issues and are in love. My family really enjoyed this review and you can to for wonderful prices! 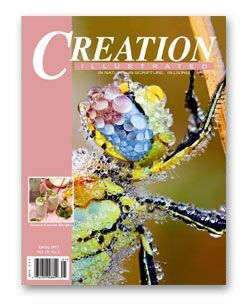 Creation Illustrated is offering a Free Issue to you as well. Go on over to their site and request it! If I would of known about this offer before the review I would of totally took them up on it! Check out what my other Crew Mates think here. Disclaimer: I received this magazine free of charge in exchange for my honest review as a member of the TOS Homeschool Crew. Field Trips - We Love Them!